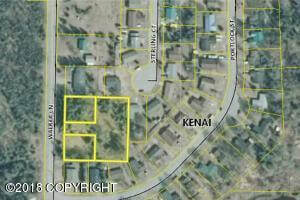 DESCRIPTION: 3 building lots in Kenai. Public utilities are near by. Two front lots are .19 acres and the one behind is .59 acres. perfect for single family or multifamily. Close to shopping and schools. DRIVING DIRECTIONS: Kenai Spur to Walker Lane.